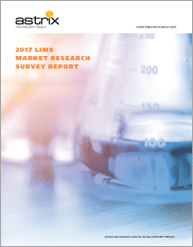 In order to determine whether LIMS deployments are realizing their potential, Astrix conducted a survey of lab professionals from companies with R&D laboratories in a wide range of industries. Our survey revealed that, while the majority of respondents felt that LIMS increased productivity in their lab, user dissatisfaction with LIMS was high in a number of areas – significant numbers of respondents perceived their LIMS to be difficult to use, difficult to integrate with instruments, and/or lacking sufficient integration with other systems. 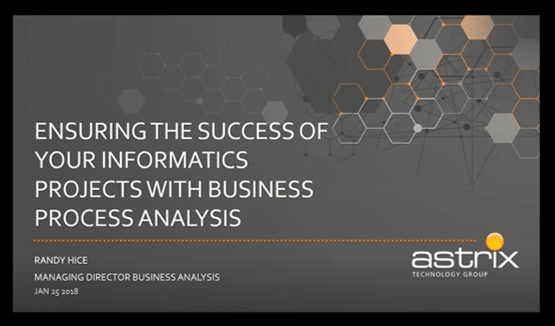 On-Demand Webinar from Astrix Technology Group - Listen to Randy Hice, a 30-year veteran of lab informatics and the industry's most published author on LIMS best practices as he provides a blueprint for a successful lab informatics . This project involved one of the world’s fastest-growing pharmaceutical companies with an established commercial presence in over 100 different countries and annual revenue of around 15 billion dollars. Read the full case study. 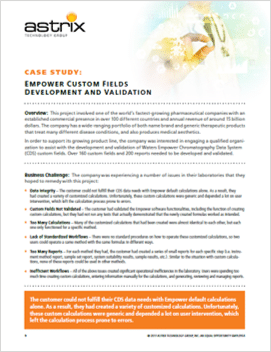 A global biopharmaceutical company with many different research and manufacturing facilities in multiple time zones around the world was using a number of different informatics systems in the laboratories across these facilities to collect, store and report data. 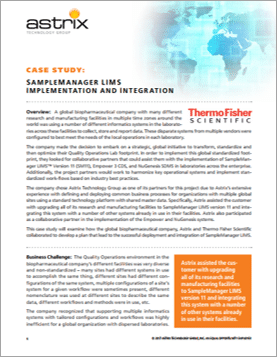 These disparate systems from multiple vendors were configured to best meet the needs of the local operations in each laboratory. Read the full case study. 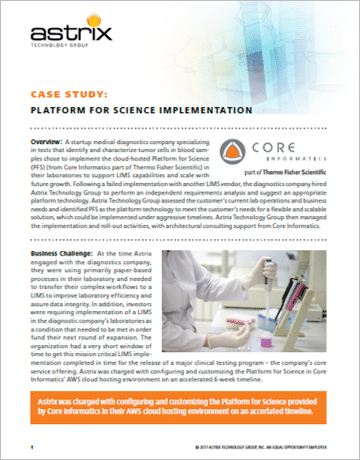 Astrix was charged with configuring and customizing the Core LIMS provided by Core Informatics in their AWS cloud hosting environment on an accerlated 6-week timeline. Read the full case study. 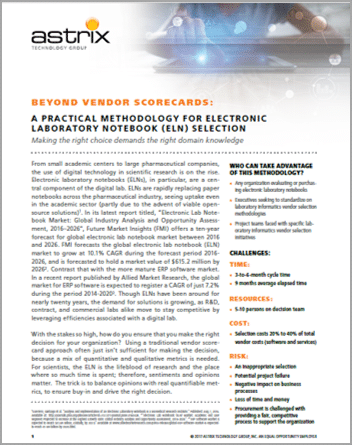 Beyond Vendor Scorecards. 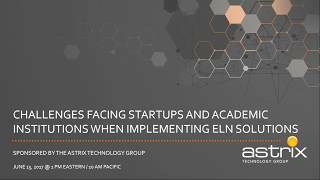 A new white paper from Astrix that details the practical methodology for ELN evaluation and selection. Click to download this white paper. In this on-demand webinar explore the challenges and opportunities facing educational research institutions around ELN (electronic lab notebook) implementation. Read how Astrix helped a global paper company reduce their reliance on spreadsheets and manual tasks by choosing and implementing LabWare. Abstract - IT project failures are unfortunately quite common – a recent survey by cloud portfolio management provider. Innotas1 revealed that over 50 percent of businesses surveyed had experienced an IT project failure within the previous 12 months. A successful laboratory informatics project can be especially difficult to achieve, given the complex processes and technologies used in the laboratory environment. 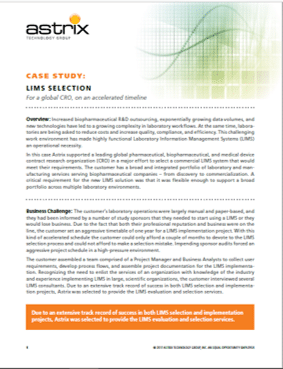 Overview: A major research-based biopharmaceutical company was working with a commercial LIMS. vendor to implement a LIMS for the Biometrics department. Both the biopharmaceutical company and the LIMS vendor had project teams which interfaced closely to move the project forward. 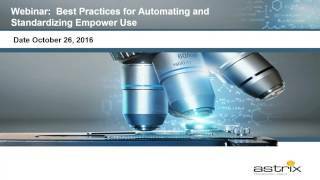 On-Demand Webinar from Astrix -Best Practices for Automating and Standardizing Empower CDS. On- demand webinar from Astrix Technology Group discusses the how labs should approach a LIMS replacement project. 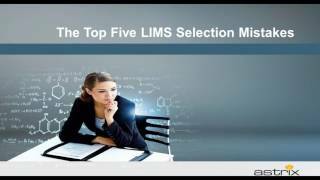 Watch an on-demand webinar from Astrix detailing the top 5 mistakes companies make when selecting a LIMS and how to fix them.